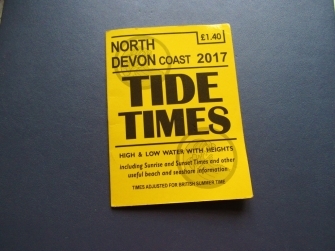 Weather is unpredictable, changing tides can catch people out and storms can be deadly. 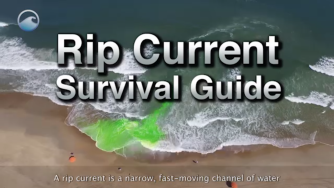 It is easy, however, to keep yourself safe on the beach and in the water - just find out what to expect and make your plans fit! 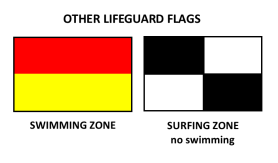 Beaches which have life guards use a system of flags to tell you whether it is safe to go into the water. 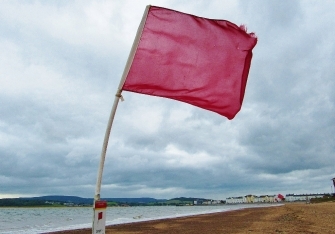 A red flag means danger - stay out of the water. To get up to date infomation on what the weather is going to do while you'e on the beach, check the Met Office. In case of emergency on the coast, call 999 and ask for the Coastguard. If you have a mobile phone but have no signal, dial 112 instead of 999. 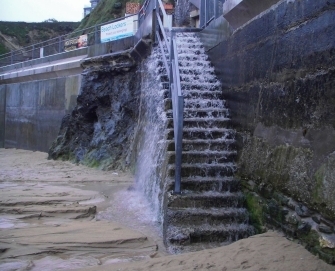 The height of waves can determine whether it is safe to swim, but also whether it is safe to stand on rocks or sea walls near th sea. 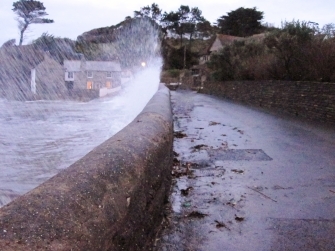 Swell, the height of rolling water farther out at sea, can impact on how safe it is to be on a boat or inflatable. 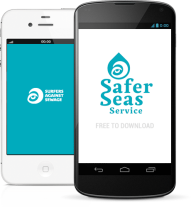 Or download the Safer Seas Service app.